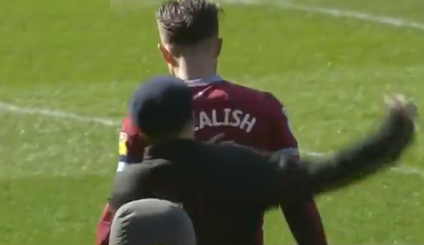 Aston Villa midfielder Jack Grealish was attacked by a pitch invader during Sunday's English Championship league match against Birmingham City, but got his revenge by scoring the game-winning goal. The reprehensible attack happened in the ninth minute of the rivalry match at St. Andrew's as a hometown Birmingham fan ran onto the field and sucker-punched Grealish from behind. The fan was surrounded by players from both teams as security grabbed him and led him off the field. 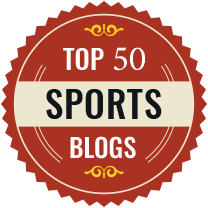 The players showed a tremendous amount of restraint in not escalating the situation further. Police have confirmed that he has been arrested. Grealish not only continued to play in the game, but made the play of the game in the second half by scoring the only goal of the match. After the game, Birmingham issued a statement apologizing to Grealish and strongly condemning the attack and pledging to ban the fan from St. Andrew's for life. We shall see if the league applies further punishment on Birmingham City FC as a deterrent to discourage copycat incidents, as it is clear that the security for the players on the pitch was not sufficient this time around.